I've done it. 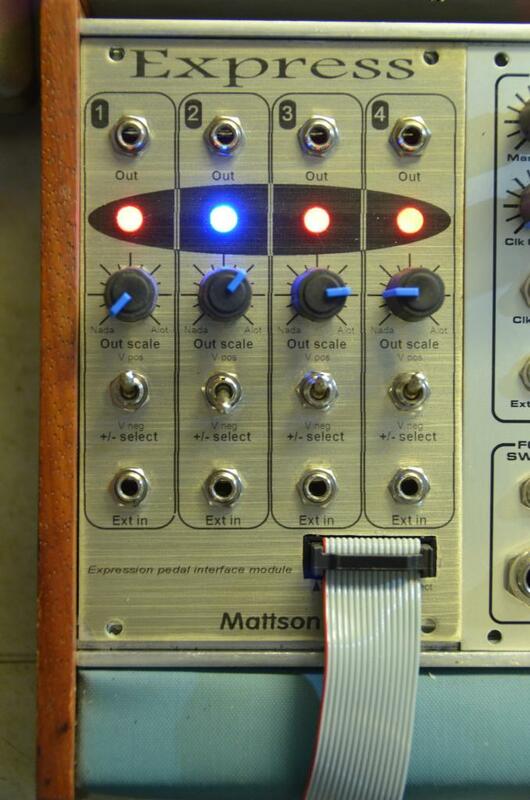 I'm releasing a Mattson-branded Eurorack module. Actually, I have been asked by many people about my Handicon module. I designed the Handicon years ago and my WIKI page about it has the second highest hit count of all of my modules. But, I could never figure out an economical way to manufacture the hand controller. I've used the circuit to provide pedal interfaces for a variety of custom projects. People have been pressing me to provide this as a pedal interface in Eurorack. So, I did. Here is the prototype and it will be in production soon. I scaled it to 4-channels. 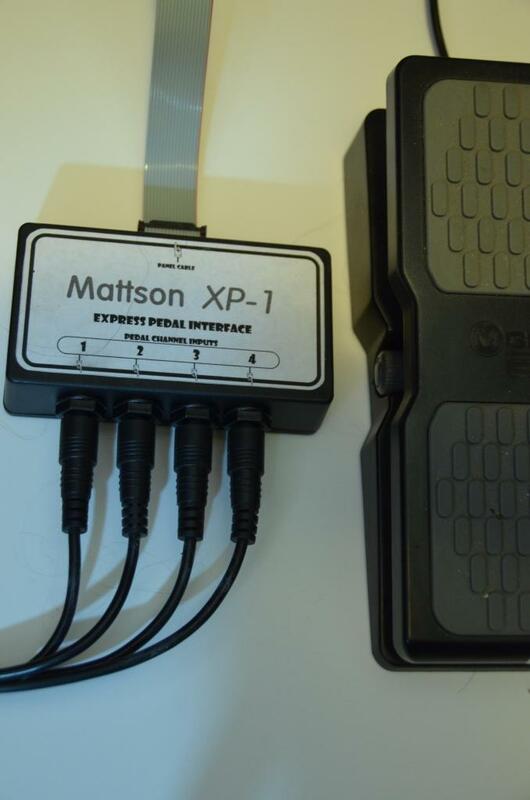 Up to four, 3rd party expression pedals can be plugged into the pedal interface and be utilized to provide foot pedal control of CVs or audio into your Eurorack modular system. Any available 3rd party expression pedal can be utilized if it uses a TRS plug. Such as the M-Audio and Moog expression pedals. Division 6 will be adding this to their catalog and provide a sales point for everybody. Division 6 will be displaying the prototype at the Muffwiggler store grand opening in Portland, OR on 5-24-14. Drop on by if you read this before that date. So much for checking before snapping the pic. But, this group will understand.